Desperate to be let in. My head full of questions, my heart like a restless sea of worry. What is going to happen? What does the future hold for me? Finishing a phase in life and transitioning into the next is not easy. Stepping into new things in life feels like standing at the edge and wondering what would happen if I took the plunge. The next steps are not mapped out clearly in front of me. All I can do is wait. Waiting seems to be a natural part of life. Waiting for the bus. Waiting for a friend who’s late. Waiting for summer. Waiting for the cake in the oven to be done. Waiting for a better life to start. Waiting for the crisis to be over. Waiting for a spouse. Waiting for a child. We often don’t want to wait, yet we have no way to change it. But what if it’s not really about the waiting to be over? What if the waiting is the essential thing? Waiting develops us in ways often unseen: endurance, patience with others and ourselves, an inner perspective. 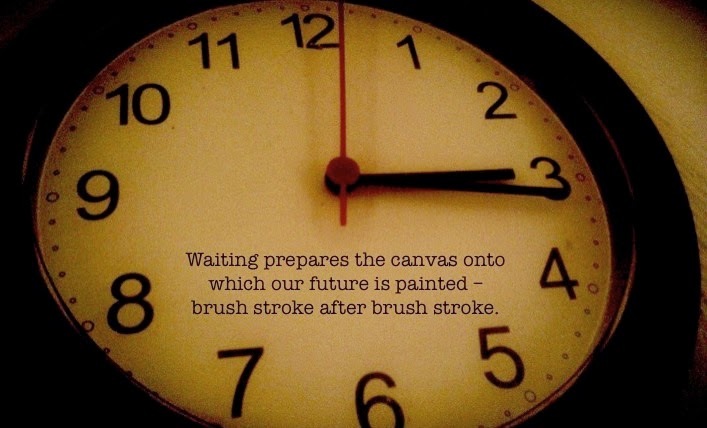 Waiting prepares the canvas onto which our future is painted – brush stroke after brush stroke. Waiting strengthens the foundation we can later build on. Waiting sharpens our character for the trials to come. We become aware of our own dependence and neediness. We open up ourselves to the help of others. We find the Lord who is working in our waiting and who’ll open up doors we never ever pounded on. What are you waiting for? And how are you waiting? It’s another Friday and over at Kate Motaung’s place we gather for a fabulous five minutes of writing. One prompt. Just write. No edit. Share and be inspired! Yes, sometimes the future is scary, but I hope your picture is beautiful in the end! Thanks for coming by! I especially love these words: “Waiting prepares the canvas onto which our future is painted – brush stroke after brush stroke.” YES! I want to be a canvas and let God paint me. Right now, I don't know that I'm waiting for anything (maybe just for myself to move forward with some projects that scare me 😉 ). Yeah, that's true for many college graduates…Glad I could stir your thoughts! 🙂 Looking forward to what you can tell about the waiting and your experiences later on! Good to hear from you! Thanks for sharing, Sarah! That can be tough to figure out the waiting game together. Or waiting while the other has already found his place…I wish you lots of wonderful encounters and growth in this period of your life and suprises along the way! Thanks for visiting, Lynai! It is quite a challenge to find the beauty and productiveness of waiting, but something work practicing! Waiting time is never wasted. Amen! Lovely. Blessings to you from FMF! 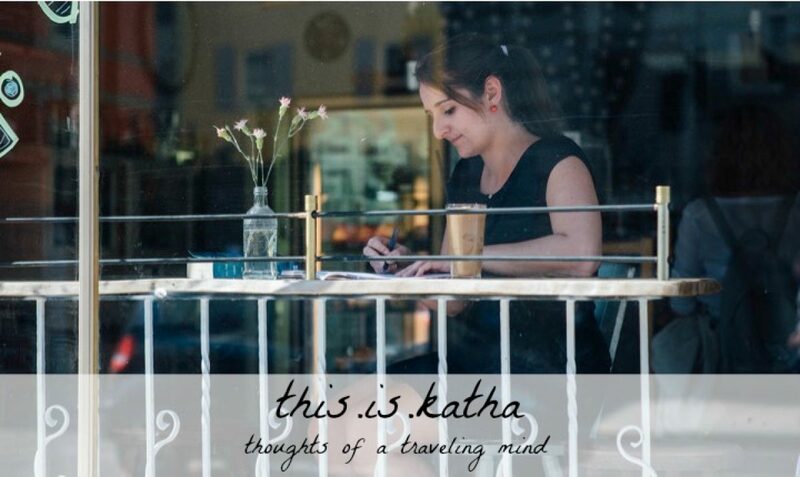 I am in the same boat Katha. This was really interesting and relevant! I loved what you said: Waiting time is never wasted time. It's a reminder to me not to get impatient whenever I have to wait. There really is something beautiful (and productive) in waiting!